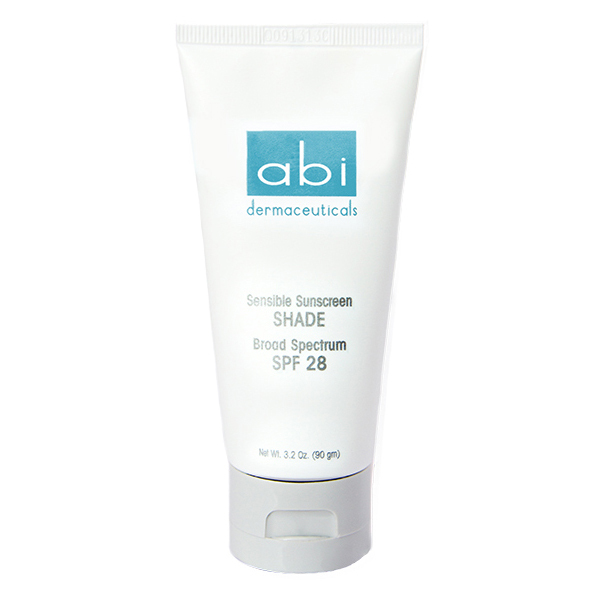 ABI’s Sensible Sunscreen SHADE SPF 28 provides superior sun protection without causing congestion or irritating sensitive skin. This gentle, fragrance free formula physically blocks the suns damaging rays and provides instant broad spectrum protection from both UVA and UVB exposure. This fast absorbing, non-greasy lotion is ideal for oily, sensitive and acne prone skin. This silky-feeling, daytime antioxidant contains an effective combination of key ingredients that work together to slow down the aging process. It improves and helps normalize dry, patched skin by producing long lasting moisture in addition to having anti-keratinization and anti-wrinkle free properties. 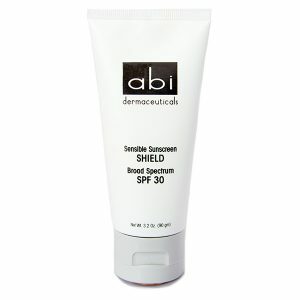 ABI’s Shield protects the skin from UVA and UVB rays to prevent sun damage and provide essential moisture. This chemical sunscreen provides 30 times your natural protection. Great for all skin types including post treatment. 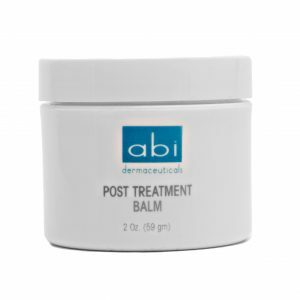 ABI’s Post Treatment Balm reduces redness and inflammation and promotes healing following aggressive resurfacing procedures such as CO2 laser, Erbium Laser, deep chemical peel or dermabrasion. This fragrance free, non-irritating occlusive contains key ingredients designed to aid in soothing and protecting distressed skin during the re-epithelialization process. It does not contain mineral oil or petrolatum which can frequently cause breakouts. 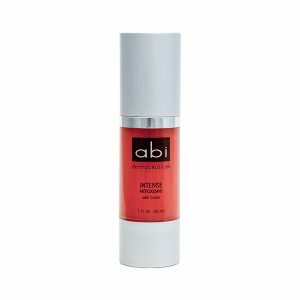 This nighttime antioxidant simulates skin repair while neutralizing free radical damage. It increases moisture retention and aids in the synthesis of ATP and DNA. It helps to decrease healing time and increase the skin quality following LED and ablative procedures.